In May 2016, the American Academy of Pediatrics published a study revealing that eating in the absence of hunger is linked to unhealthy weight gain in toddlers. This information may seem obvious. If toddlers eat when they aren't hungry, they will gain weight too quickly. But let's stop to think about how we eat: three meals per day, two to three snacks. Most pediatricians recommend offering food to your toddler every three to four hours. How many of us feel our children should finish their meals? Do we ask them to clean their plates even if they aren't hungry? Although well-meaning parents want to ensure their child finishes a meal, children should be taught to eat only when hungry. 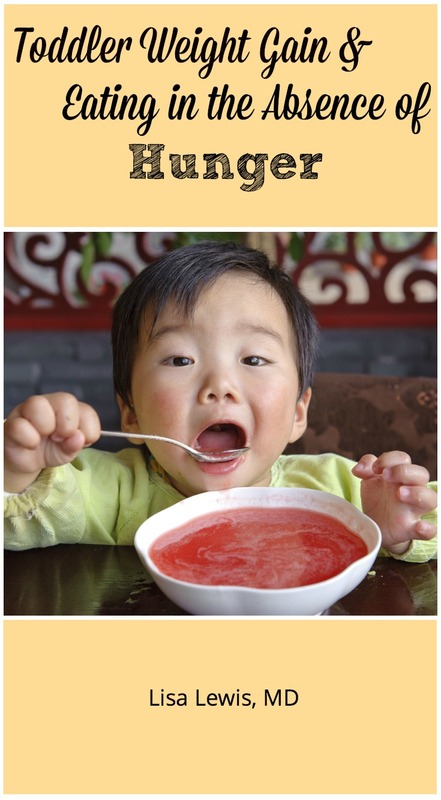 Here's how to help your child eat when hungry and reduce excess weight gain in toddlers. Don't offer snacks too close to meals. Enjoy family meals? Try to time a snack so that it doesn't fall within a few hours of a meal. Obesity is less prevalent in the Netherlands than in many other countries. Children historically eat three healthy meals a day, and families minimize snacking. Junk food is not a habit, but an occasional treat. Eating patterns are unique for each child. If your child is hungry within a few hours of mealtime, offer a healthy snack, such as a piece of fruit. Make sure your pantry and refrigerator are not accessible to your children without your permission. Ensure your child is not eating excessive carbohydrates and junk food. Crackers and carbohydrates multiple times a day will suppress your child's hunger signal, and your child will not learn to stay in tune to hunger symptoms. Offer foods from the earth, such as yogurt, cheese, milk, fruit, vegetables, lean meat, and healthy grains, on an ongoing basis. Juice suppresses the appetite and is not needed in a child's diet. Juice is a temporary appetite suppressant and causes cavities. Too much juice increases the risk of your toddler gaining too much weight. Give water or milk to drink only during the day. Consider juice an occasional treat. Your child should get juice naturally through eating fruit. Don't push your child to eat more. Let your child learn cues and feel the body's need to eat. Sometimes toddlers are not consistent with their eating patterns. Don't try to force a child to eat. Keep offering healthy food every three to four hours, and your child will eat when ready. If your child is asking for food all the time, consider if hunger is truly present. Make sure your child is drinking plenty of water. Sometimes children think they are hungry when thirst is the real problem. If you feel your child is hungry, make healthy snacks available. 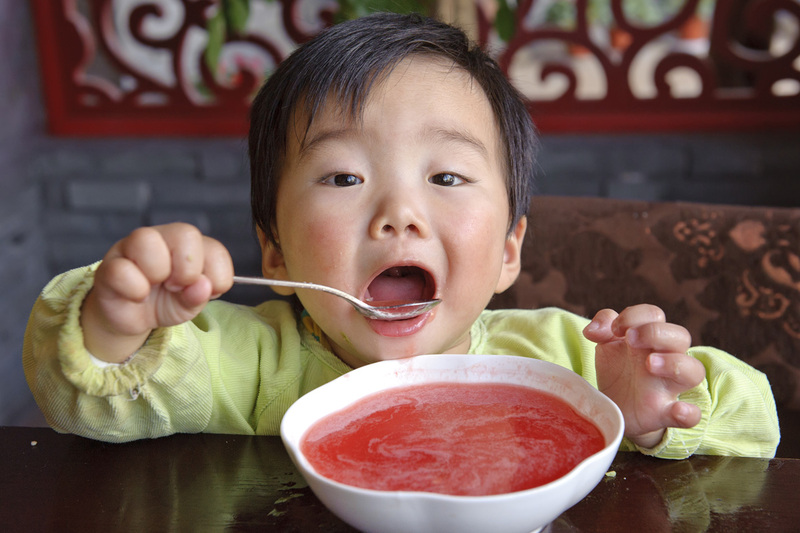 Check with your pediatrician for feeding guidelines. If your child is underweight or has a problem with nutrition, your pediatrician may give you additional information that is important for your child's health.